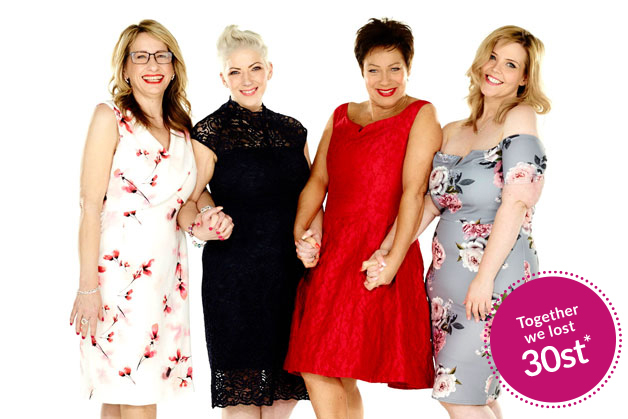 Rhonda Floyd was so inspired by her own 8st 9lb weight loss with LighterLife that she’s become a LighterLife Mentor and is now helping to inspire others to lose weight with her free LighterLife Xpress meetings in Barnet. She explains why she first came to LighterLife, and what life is like as a Mentor. I needed to take conventional food out of the equation, to give me the space and time to look at my relationship with food, identify my triggers, get control of my habits and understand my emotions. Once I had these tools in place, I was able to incorporate exercise and fitness into my new regime and hey presto, I finally lost the weight (8st 9lb) and, more importantly, I’ve kept it off for nearly four years. LighterLife helped to change my life, it gave me the platform I needed for personal growth and better understanding of myself, and it gave me the ability to let go of past demons and finally make the change. I feel the following quote sums it up better than I can: “You can’t go back and change the beginning, but you can start where you are and change the ending.” LighterLife helped me change my ending and in turn I’m now in the fantastic position to help, encourage and motivate my clients to change their endings, too. 7:30am There’s just something about setting yourself up to have a productive week that really makes a difference, and I always start my day with music. My current obsession is the soundtrack of The Greatest Showman, so when I jump out of bed around 7.30am the first thing I do is put on the track The Greatest Show. It’s sort of become my life anthem; it inspires me and motivates me to seize the day and be prepared for whatever it has to offer. Another Monday ritual is to make a positive affirmation to set the tone for my entire week. This week’s is: “You can’t start a new chapter if you keep rereading the old one.” I love to incorporate my affirmations in my Xpress meetings and my members seem to love it, too. 8.30am I check my emails and am greeted with lots of new people who want to join my free Xpress meetings. They must have spotted my banners in the local park and at the train station, hurrah. It’s so rewarding seeing my local marketing efforts really paying off. I’m so passionate about helping people to reach their own weight-loss goals and it’s great hearing from people who trust me to help them get there. 9am – 12pm I spend the next few hours emailing potential new members and responding to those recent enquires. I also check in on my social media pages, prep the products orders for the next day and do a final stock check. 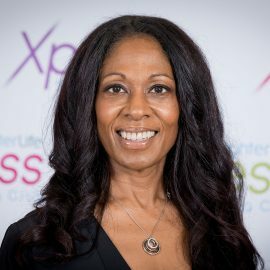 1pm – 2pm A big part of what I do as a LighterLife Xpress Mentor is to keep my members engaged and let them know that I’m always here, so I love to use WhatsApp to let everyone know the theme of this week’s meeting and that I’m looking forward to seeing them. This then filters onto my Facebook, Twitter and Instagram to get everyone excited for our session this week. 2.30pm-4.30pm What’s great about working for myself is that I get to set my own agenda. Today I’m off to meet my friend for a late lunch and a stroll up the high street. It’s a great opportunity to drop in some leaflets to a couple of local coffee shops, the library and local community hall. I also dropped off some magazines at the hairdressers and handed out goody bags which prompted a lovely lady to call me asking more about my local meeting times. 6pm The day has flown by and I’ve got just a few moments for a quick check of emails and social media. I always like to prepare the focus of my Xpress meeting the night before (we call these Hot Topics) to ensure I’ve fully prepped for a great session. This week’s Hot Topic is all to do with “last supper” syndrome and music being a useful distraction tool. To personalise the session and help bring it to life, I made a short music playlist and pulled together a list of recommendations to share with my lovely member of great blogs, ebooks and TED Talks. It’s then time to pack up boxes full of tasty products ready for my meeting tomorrow, with the help of my husband Phil, of course. I really couldn’t do it without him. 7pm While sitting on the sofa with my feet up I decide to apply for a pop-up stall in my local shopping centre. To really bring my vision to life, I mock up a stall at home and send a photo of this along with my proposal. I can’t wait to see what they think. I’ll be offering product samples, free BMI checks and lots of friendly advice on LighterLife and the plans we offer. 8pm When 8pm rolls around I’m ready to wind down and relax for the evening, but before I do I want to run through tomorrow’s Hot Topic once more, using my husband as the audience! There aren’t many jobs that can make Mondays enjoyable, but being a LighterLife Mentor really is one of them. No week is the same and I just love how flexible it is. Running my own business has changed my life completely and I’ve never found a career that’s both financially and emotionally rewarding.